Corruption probes that began in 2014 have reached the highest levels of the Brazilian government and corporate elite, implicating President Michel Temer, former presidents, and dozens of cabinet officials and senators. Operacao Lava Jato (Operation Car Wash) and overlapping investigations have led to prison sentences for top executives and politicians, mass layoffs, and billions of dollars paid in fines. The scandals have complicated efforts to revive the economy amid its largest downturn in more than a century. The country’s biggest corporations have faced numerous setbacks, and the fallout from the scandals helped right-wing candidate Jair Bolsonaro sweep to victory in Brazil’s 2018 presidential election on a populist, anticorruption platform. Millions of Brazilians have demonstrated in favor of the investigations, and many hope that shedding light on the scandals will end the widespread corruption that has plagued their country. 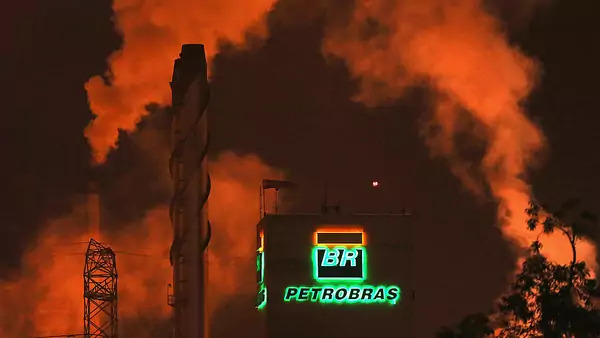 Federal prosecutors led by Judge Sergio Moro launched Lava Jato in March 2014, after the Finance Ministry’s intelligence unit discovered unusual bank transactions involving the state-owned oil company Petrobras. They suspected that Petrobras was accepting bribes from firms, including the construction giant Odebrecht, in exchange for contracts. Executives from both Petrobras and Odebrecht, including the latter’s former chief executive, Marcelo Odebrecht, were sentenced to jail time. In April 2017, a U.S. federal court ordered Odebrecht to pay $2.6 billion in fines to authorities in Brazil, Switzerland, and the United States. The company had previously admitted to paying out hundreds of millions of dollars in bribes to officials in twelve countries. Facing financial losses that stem in part from the probe, the two companies have laid off more than one hundred thousand employees. According to the public prosecutor’s office, by October 2018 Lava Jato had resulted in more than two hundred convictions for crimes including corruption, abuse of the international financial system, drug trafficking, and money laundering. More than a dozen other corporations and multiple foreign leaders have also been implicated in Lava Jato, including former Colombian President Juan Manuel Santos, Venezuelan President Nicolas Maduro, and former Peruvian President Pedro Pablo Kuczynski. Another investigation, Operacao Carne Fraca (Operation Weak Flesh), was announced publicly in March 2017; it began as a result of Lava Jato and pursued allegations that employees of JBS and BRF, the world’s largest beef and poultry exporters, respectively, bribed food inspectors to approve the sale of spoiled products. In the following months, the European Union suspended its meat imports from Brazil, along with China, Egypt, Japan, Mexico, and the United States. (Some of the bans were lifted soon thereafter, but EU and U.S. restrictions remain in place.) JBS’s heads, brothers Joesley and Wesley Batista, made plea bargains with prosecutors and resigned from their positions in May; their testimonies spurred a probe into President Temer. JBS’s controlling shareholder agreed that month to pay a record $3.16 billion fine after its executives admitted to bribing 1,829 politicians a total of nearly $600 million. The Batistas were arrested in September on charges of lying to the prosecution and insider trading. Several other corruption probes that have overlapped with Lava Jato have resulted in more than a dozen arrests. These include: Operacao Panatenaico, which concerns alleged bribes paid by construction companies in exchange for contracts to build stadiums for the World Cup Brasilia hosted in 2014; Operacao Greenfield, an investigation into alleged fraud at the pension funds of state-run companies; and Operacao Zelotes, which is looking into bribes allegedly paid by companies including JBS and Ford’s Brazilian subsidiary to tax officials to reduce their corporate liabilities. Which current or former public officials have been investigated? Luiz Inacio Lula da Silva. The former president (2003–2011) was sentenced by Judge Moro in July 2017 to nine and a half years in prison for corruption and money laundering. Lula, who also faces charges in several other corruption cases, lost appeals and had his prison sentence extended to twelve years in early 2018. His loss of these appeals effectively barred him from running for political office, although his party subsequently named him as its presidential candidate in the 2018 election. Lula ended his presidential bid in September and endorsed former Sao Paulo Mayor Fernando Haddad, who lost to Bolsonaro in a runoff. The federal prosecutor’s office has referred to Lula as the mastermind behind the entire corruption scheme targeted by Lava Jato, and some officials from his administration are serving prison sentences for related crimes. He is often described as a mentor to his successor, Dilma Rousseff, who was his chief of staff from 2005 to 2010. Dilma Rousseff. In office since 2011, President Rousseff was impeached and then removed from office in 2016, during her second term, after being charged with manipulating the federal budget to conceal the size of the country’s deficit. Prosecutors never brought charges related to the Petrobras scandal against Rousseff, though she was the company’s chairwoman from 2003 to 2010. A separate case, which was brought by the opposition, sought to annul Rousseff and Temer’s 2014 election victory over allegations of illegal campaign donations, but was unsuccessful. Michel Temer. Rousseff’s one-time running mate and vice president took office in August 2016, after Rousseff was impeached. His name did not appear on Fachin’s list, but he has since been charged with taking bribes. JBS chair Joesley Batista handed over to investigators secretly recorded audio that purports to show Temer authorizing hush money for Eduardo Cunha, a former speaker of Congress’s lower house. Like Rousseff and Lula, Temer has denied the allegations against him. Eduardo Cunha. Cunha was charged in October 2016 with accepting bribes worth $40 million and attempting to obstruct investigations into his activities. In March 2017, he was sentenced to more than fifteen years in prison for corruption, tax evasion, and money laundering. Cunha faces additional criminal charges as well. Sergio Cabral. The former governor of Rio de Janeiro state was arrested in November 2016 on charges of accepting $64 million in bribes in exchange for construction contracts, including for World Cup stadiums. He was sentenced to fourteen years in prison in June 2017. Have the probes had economic consequences? Brazil’s economic troubles predate Lava Jato. Initially thought to be a temporary downturn in the wake of playing host to the World Cup, Brazil fell beginning in early 2014 into its worst recession in more than a century. As the political crisis worsened, investment levels and consumer confidence suffered, leading to a 3.9 percent drop in GDP in 2015 and another 3.6 percent decrease the following year. Credit: CFR Editorial. Source: World Bank. In the first half of 2017, Brazil saw its first quarter-on-quarter growth in two years, at 1 percent. But after the Temer recording was released in May, Brazil’s currency, the real, plummeted 8 percent, and economists indicated that political turmoil would make it more likely that the country would sink back into recession. Unemployment in Brazil hit a new high in March 2017 at 13.7 percent, more than double the rate in late 2013, prior to the start of Lava Jato. By the end of that year, though, Brazil’s economy showed initial signs of recovery. The Finance Ministry announced that GDP had grown an estimated 1.1 percent in 2017, citing a drop in private sector debt and increases in investment and consumption. Unemployment and inflation were falling and the benchmark interest rate was at an all-time low of 7 percent in December. Temer has pressed Congress to approve a massive economic reform program that includes austerity measures meant to rein in government debt, which continues to rise. However, experts doubt that he can move forward with reforms amid corruption investigations. Multiple iterations of Temer’s pension reform bill have floundered in Congress. Meanwhile, the companies at the center of the scandals, some of the country’s largest, have been confronted with deep financial consequences. By mid-2018, the corruption scandal was believed to have helped erase more than $250 billion from Petrobras’s market value. The oil giant has also lost billions more in legal settlements and other costs related to graft, including an $853 million settlement with the U.S. Department of Justice, the Securities and Exchange Commission, and Brazilian authorities. Where does the Temer administration stand? Brazilian legislation provides sitting cabinet members and other federal elected officials with special standing; they can only be tried by the STF. Cases against politicians move slowly through the single court, which has traditionally been deferential to politicians, leading to “practical immunity from prosecution,” writes Matthew M. Taylor, an expert on Latin American politics at American University. In June 2017, the prosecutor-general charged the president with corruption for accepting a $152,000 bribe from Batista, and in September with obstruction of justice and racketeering. The charges failed to obtain the two-thirds approval required by Congress for it to move forward in the STF, and Temer survived an impeachment vote in August of that year. Even so, at least eight cabinet ministers or top aides have stepped down since Temer took office due to the revelations from Lava Jato and other probes. “His kitchen cabinet has been decimated,” says Taylor. Several smaller political parties have withdrawn their support for the Temer administration. [Temer’s] kitchen cabinet has been decimated. Temer will vacate the presidency in January 2019. Bolsonaro has promised to crack down on rampant corruption and crime, blaming rising levels of violence on widespread graft among Brazil’s judiciary and law enforcement officials. He named Moro his minister of justice, proposed comprehensive anticorruption legislation, and supported tougher criminal sentences and the use of deadly force on suspected felons. While his supporters believe such iron-fist policies will rein in corruption and crime, many analysts fear the measures will backfire, fueling violence against the state and causing Brazil’s prison population—already a leading source of gang recruitment—to balloon. Brazil’s public prosecutor’s office lays out its findings from the Lava Jato probe. Monica Arruda de Almeida and Bruce Zagaris lay out the costs [PDF] of the corruption probes for Petrobras. Jonathan Watts examines the network of political and corporate racketeering uncovered by Lava Jato for the Guardian. Jon Lee Anderson discusses the state of Brazil’s democracy in the New Yorker. CFR’s Matthew M. Taylor discusses the likelihood that Temer will remain in office.